Bring in more leads and clients. Increase your profits by cutting expenses and improving sales. Position your business (or you) as the market expert. But you can’t do that with just the average lonely website. 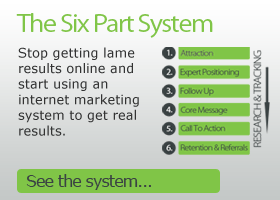 You need a complete marketing system to get real results. Most kiwis use the internet. We’re using it more and more on our mobile phones. We search for local businesses. We buy over the internet, and we use the internet to decide who we’re going to use for services. 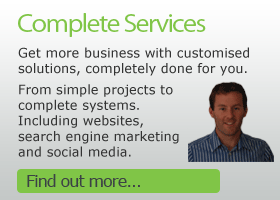 Around the world service businesses are successfully using the internet to get more business. There’s heaps of opportunity and promise. We have a disappointing reality. 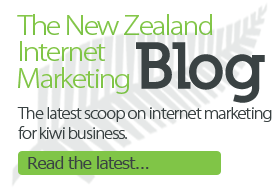 Most kiwi service businesses are not getting good results from the internet. Very frequently a website is just a cost that does nothing for them. They get very few people visiting the website and even fewer of them turning into clients. Websites should turn a profit. Like all marketing, it’s only there to make money. They fail because they don’t have a marketing system; they’re just web pages that look nice. On its own a website won’t bring in new business. Websites are just one cog in the wheel of internet marketing. There are important steps that come before and after a website. They need promotion to get a steady stream of prospects coming in. 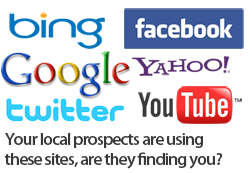 The website itself has to be optimised to convert those clients into prospects. Service businesses need different marketing than product based businesses. The old “add to cart” button doesn’t work. A service isn’t a box of stuff that someone can pick up and buy. Your clients are buying your skills, your reputation, your trust, your expertise. On a deeper level they’re buying the benefits your service offers. And at the deepest level they’re buying the emotional rewards that having your service ultimately means. A marketing system built on this basis will bring in more business and deliver the bottom line results that a lonely website cannot. 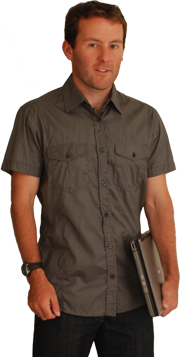 Check out the 6 Step Internet Marketing System, and see what you need to do to get business from the internet. You might also want to get your own copy of Get Internet Smart. It’s an audio CD about how to make the most of the internet. It’s normally $29.95, but you can have it free if you qualify.